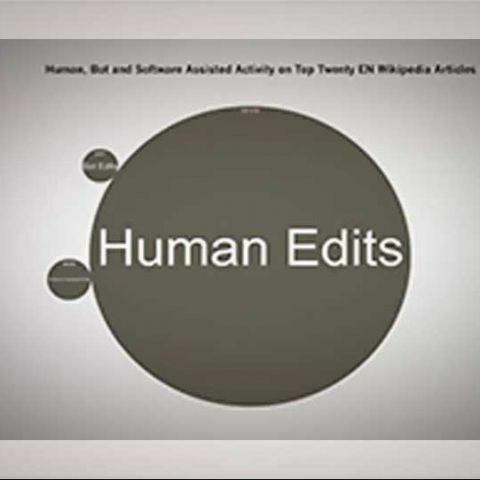 The new app will help in tracking edits made in Wikipedia by both, Internet bots and humans. Researchers have developed a new app that monitors how many Wikipedia entries have been made by internet bots rather than human beings. Internet bots are softwares that are used to update entries on the internet and grab information from one place and post them to another. It is not easy to determine what portion of Wiki pages are generated by humans and how many are generated by bots. Thomas Steiner, a Customer Solutions Engineer at Google Germany, Hamburg, and team have created an app that can be accessed by anyone to see what percentage of pages are being written by humans versus bots on Wikipedia in real time. According to 'Phys.org' majority of Wikipedia content is still being created by human beings in the US and the UK. The app found that the internet bots were adding a lot of information to pages in non-English speaking countries. Bots Vs Apps: The battle for your attention has begun! "We have developed an application and an underlying Application Programming Interface (API) capable of monitoring real-time edit activity of all language versions of Wikipedia and Wikidata," researchers said. 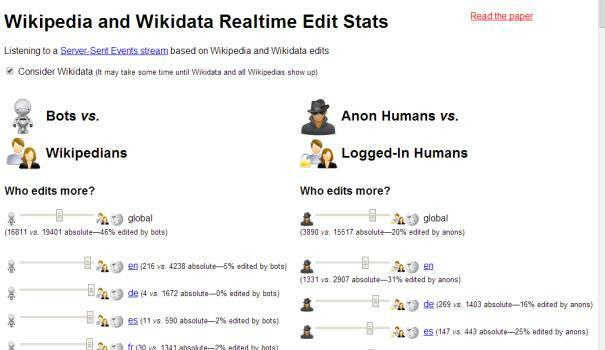 "This application allows us to easily analyse edits in order to answer questions such as "Bots vs Wikipedians, who edits more? ", "Which is the most anonymously edited Wikipedia? ", or "Who are the bots and what do they edit?" they said. Wikipedia has seen a decline of nearly 10 percent of its pageviews between December 2012 and December 2013. According to experts the decline has been caused due to Google's Knowledge Graph. The site recently announced Wikipedia Voice Intro Project (WikiVIP), in which the crowd sourced encyclopedia will add voice recordings on the biography pages of celebrities and other famous people.